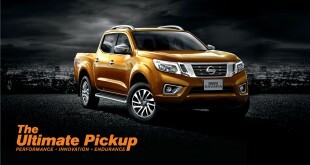 Last week, Edaran Tan Chong Motor introduced two Updated Nissan Navara variants namely the Navara 4WD A/T LE and the 4WD M/T SE to the Malaysian market. 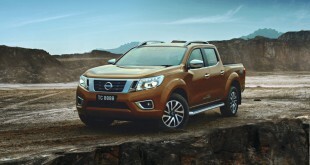 The Nissan Navara was first launched in 2008. It is well known for its dominant presence coupled with dynamic performance and comfort, which has been making steady inroads into the pick-up segment. 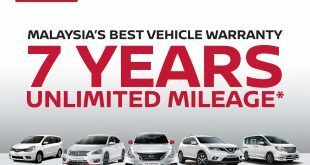 The Nissan Navara is one of the Nissan’s top three best-selling models in Malaysia and has garnered many prestigious awards both globally and locally. The facelift updates to the Nissan Navara have been applied to the 4WD A/T LE and the 4WD M/T SE to address the needs of the public which have been extremely positive with regards to these two variants. The exterior of the Updated Nissan Navara has been refined with an aggressive new bumper design, sporting a revised lower intake and angular corners. A new chrome grill with horizontal panes and with the Nissan logo featured prominently accentuates its luxury look. This treatment has also been applied to the wheels with new alloy rims featuring a new multi-spoke design in a two-tone finish. Internally, the audio player also been upgraded to a 6” Infotainment Touch Screen Navigator unit with DVD playback, Bluetooth and USB are supported and it also acts as a display for the Reverse Camera. The Updated Nissan Navara is powered by a fuel efficient 2.5 litre YD25DDTi Common Rail Injection Diesel Engine, producing the highest torque for its capacity. Mated to either a 5-speed automatic transmission or a 6-speed manual, the Updated Nissan Navara is currently offered in two variants. With safety firmly in mind, the Updated Nissan Navara is equipped with a tough, double-layered high-tensile metal frame, Nissan Zone Body construction, as well as Xenon headlamps (JPJ compliant) to ensure the best possible driving vision during the dark hours. Other standard safety features include Electronic Brake Force Distribution (EBD), Anti-lock Braking System (ABS) and Supplementary Restraint System (SRS) dual front airbags. The Nissan Navara is available in a total of four colours, Tungsten Silver, Brilliant White, Twilight Grey and Diamond Black for all variants. 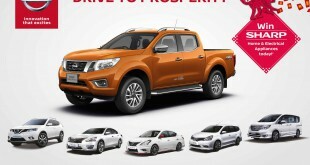 The new facelift Nissan Navara is available with an on-the-road price of RM 94,834.20 for the 4WD M/T SE and RM 105,834.20 for the 4WD A/T LE, and is now open for booking at Nissan Showrooms in Malaysia.